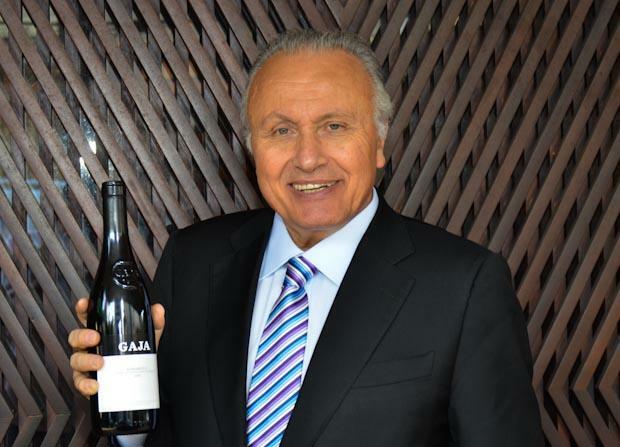 The Gaja estate's qualitative supremacy and cachet are not solely attributable to Angelo. In fact, his father's 1961 Barbaresco may be the most profound bottling of its designation ever to be produced. The Gaja name represents a legacy of quality that has evolved since the family immigrated from Spain over 300 years ago. Angelo maintained his family's high standards of production while inaugurating a new stylistic direction--more often than not through measures that incited controversy. Foremost among these was his inaugural use of barrique in the vinification of his 1975 Barbaresco cuvée. Gaja is widely credited with having instituted this practice, the objective of which is to soften the formidable tannins of the Nebbiolo grape, thereby producing a wine that is richer and more concentrated in its fruit expression than traditional models. Other early efforts included the reduction of crop size, shortened pruning of Nebbiolo vines, and decreased fermentation periods. Wine Spectator 90"Bursting with pure, sweet blackberry, black cherry and spice flavors, this is not overoaked, offering a vibrant structure, with firm tannins on the finish and nice length. Merlot, Syrah and Sangiovese. Drink now through 2016. 7,000 cases imported." Wine Spectator 95"Wow. This is pure fruit. Aromas of raspberries, cherries and blackberries jump from the glass. Full-bodied, with ultrafine tannins and a long, long finish. Shows wonderful finesse and class. Best after 2009. 1,050 cases made." Wine Spectator 96"Amazing aromas of plums, strawberries, and minerals follow through to a full-bodied palate, with ultraripe tannins and a long, mineral and blackberry aftertaste. Gorgeous. So fresh and structured. Best after 2010. 1,050 cases made. –JS"
Wine Spectator 95"A silky, beautiful wine, with plum and berry character. Full-bodied, with fine tannins and a caressing texture. Seductive, with layers of fruit and tannins. Best after 2009. 890 cases made. (JS)"